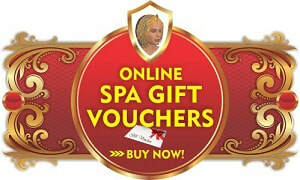 Cleopatra's Temple Day Spa & Beauty Centre Southlake, Perth WA - Egyptian Day Spa Perth. Relax and let yourself be inspired. CALL US TODAY ON (08) 9414 9339! Relax and let yourself be inspired by the most unique day spa and beauty centre in Perth! When you need total relaxation and pampering, you need Cleopatra’s Temple Day Spa and Beauty Centre. With themes and services inspired by the Egyptian culture, visit our beauty spa and you'll understand what it means to be well looked after. See our TRADING HOURS here! Copyright ® 2017 Cleopatra's Temple Day Spa & Beauty Centre. All rights reserved.